Looking for a quick treatment that gives you beautiful skin rejuvenation results without downtime? The HydraFacial MD® is a perfect way to nurture your skin’s health through a simple monthly treatment. Located in College Station, Texas, Artisan’s Rejuvenation Med Spa is dedicated to providing our clients with aesthetic services that help improve their overall sense of health and wellness. If you’d like more information about our practice or are interested in scheduling a consultation appointment, contact us today. What is the HydraFacial MD®? The HydraFacial MD® is an entirely non-invasive skin rejuvenation treatment. 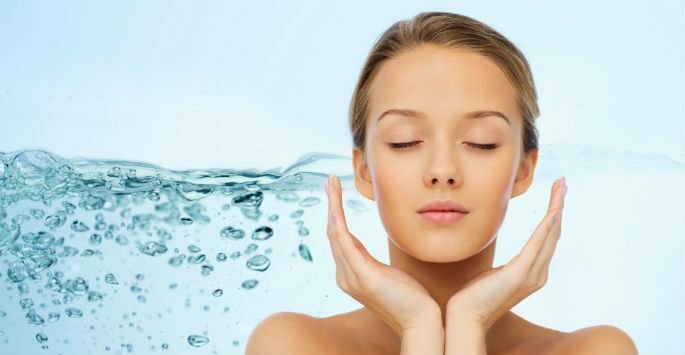 It combines the healing power of hydradermabrasion, chemical peel, and extraction techniques to effectively cleanse the skin and deliver antioxidants, hyaluronic acid, and peptides to the face. The HydraFacial MD® involves absolutely no downtime and no irritation, so you can get the beautiful skin you want without the recovery time you don’t. The HydraFacial MD® is performed in a series of six steps. Vortex-Exfoliation™. The Active-4™ serum is applied, removing dead skin cells and impurities from the face. Vortex-Peel™. A concoction of salicylic and glycolic acid called GlySal™ is used to bring clients the benefits of a chemical peel without irritation or downtime. Vortex-Extraction™. The patented Beta-HD™ is used to suction the pores, removing any additional impurities and dead skin cells that surfaced during steps one and two. Vortex-Boost™. Facial products are administered depending on the client’s unique skin type and cosmetic concerns. Vortex-Fusion™. An Antiox+™ serum that contains antioxidants, peptides, and hyaluronic acid is applied to the skin. Extend & Protect. To be completed at home, this step involves using Daily Essentials™ products to maintain the results of the original treatment. This entire process can be completed in as little as 30 minutes and brings patients instantly more radiant, clear, and youthful-looking skin. We recommend that patients undergo one treatment per month to see continued improvements in the appearance of their skin. Am I a Candidate for a HydraFacial MD®? Nearly anyone interested in improving the look and feel of their skin is a potential candidate for a HydraFacial MD®. This procedure is gentle enough for sensitive skin, but effective enough to give anyone a healthy glow. If you’re interested in feeling the benefits of this fantastic treatment yourself, schedule your own HydraFacial MD® appointment.